This kit contains one of each of the marquis, ehrlich and froehde reagents in 2 mL bottles. 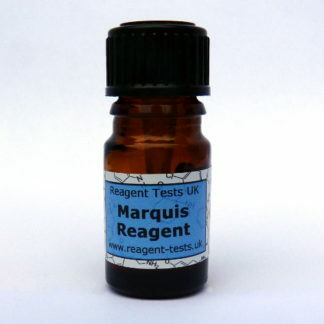 2 mL provides approximately 35 drops and one drop is required per test. 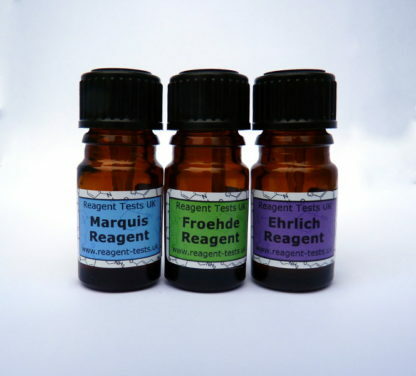 These three reagents all have well defined results for LSD and other hallucinogens and psychedelics, so are ideal for detecting these substances and others which may be sold in their place. 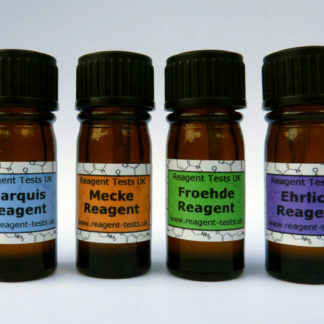 The ehrlich reagent goes purple/pink when exposed to LSD. 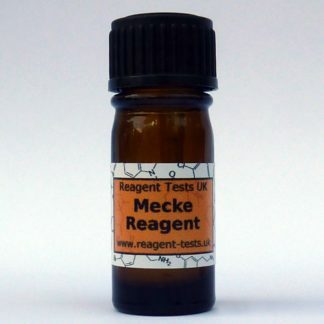 It does not change colour for NBOMes or drugs in the 2C-B family. 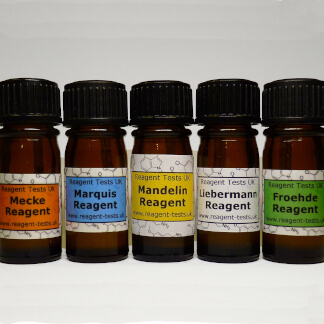 These reagents have a shelf life of 9-12 months when stored in the fridge. 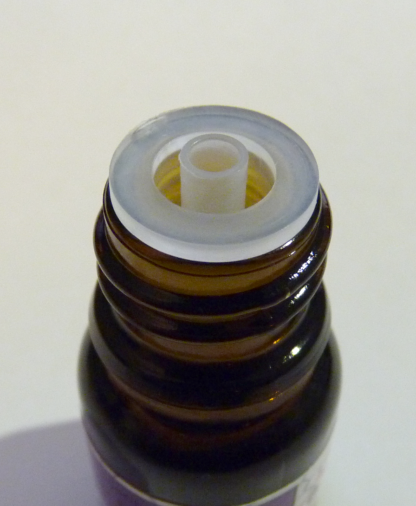 All our products are shipped in high quality glass bottles to reduce degradation from light, moisture and reactions with plastics which will shorten shelf lives. After removing from the fridge make sure you let the reagent warm up and dry off before opening the lid. 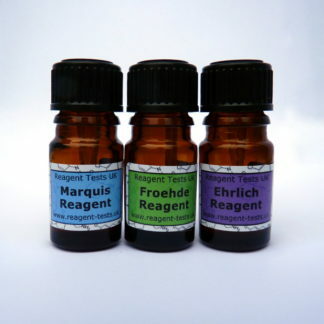 If you can’t store them in the fridge then keep them in a cool, dark place where the marquis reagent will last around 6 months and the others about 9 months. 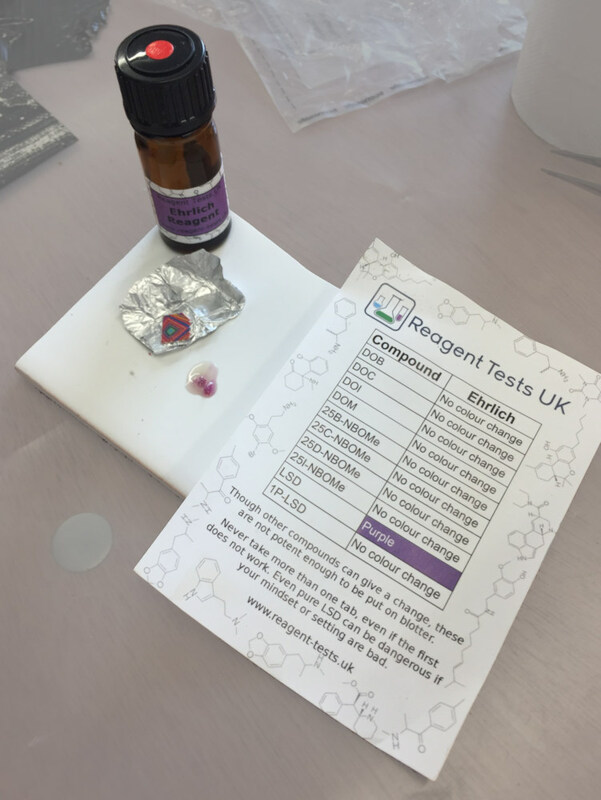 Includes test result guide for common compounds and full instructions.